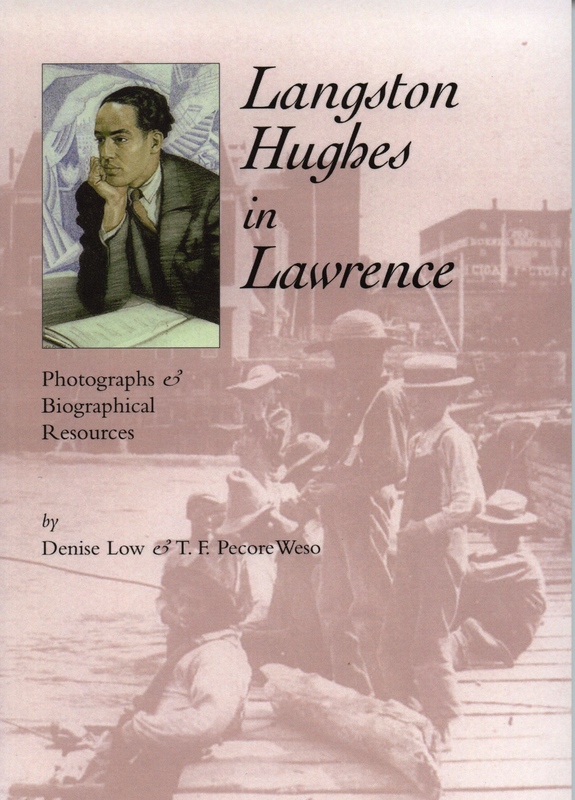 LANGSTON HUGHES IN LAWRENCE: PHOTOGRAPHS AND BIOGRAPHICAL Paper $15.00, isbn 0-9761773-3-1; Hard cover, $23.95, isbn 0-9761773-2-3. 128 pages, 68 B&W photographs, Family tree diagram, biography, bibliography. Langston Hughes, the great American poet who inspired the Harlem Renaissance, spent most of his childhood (1902-1915) in Lawrence, Kansas. This biography includes photos of Lawrence places connected to Hughes, along with maps and a family tree of known African, American Indian, and White ancestry. A story emerges of his prominent abolitionist grandparents, Charles and Mary Langston, and their struggle for education and civil rights. Many buildings from Hughes’s time survive in Lawrence, where citizens still preserve history of John Brown and the Underground Railroad. The places where Hughes lived, played, worked, attended church, and went to school illustrate the community influences on the poet. New research sheds light on Hughes’s boyhood and his Langston family heritage. “No previous scholar of Langston Hughes’s boyhood in Lawrence has examined the complexities in Hughes’s multiracial family or in his community with the comprehensiveness and insight that Low and Weso provide in their new study.” *Elizabeth Schultz, U. of Ks.